Located in the spectacular Southern Alps of New Zealand, Wanaka is the perfect base to enjoy the best skiing and snowboarding in New Zealand. Treble Cone is the largest ski area in New Zealand’s South Island and offers the longest vertical in the Southern Lakes. Cardrona Alpine Resort is a fun family-friendly alpine resort located between Queenstown & Wanaka. Cardrona's popular snowy slopes are perfect for all types of skiers and boarders. NZs most experienced heli-ski and heli-board company with 30 years of operation. Harris Mountain Heli-Ski has an extensive variety of terrain to ski or board in Wanaka, Queenstown or Mount Cook. The Soho Basin private ski area offers pristine high-country terrain, world-class views and gourmet dining in an atmosphere of relaxed and understated luxury. Combine the fun and adventure of an alpine off-piste experience with the ease and creature comforts of high-end ski resorts. Snow Farm is NZ's only Nordic Ski area. Winter time provides 50 km of both classic & ski skating, snow shoeing, fat bikes, dog sledding, ski touring, plus a kids snow fun zone. Scheduled opening is 28 June 2018. Summer offers free MTB, hiking and 2 back-country huts. Nestled in a quiet location, a few minutes from the Wanaka township, Distinction Wanaka Alpine Resort offers spacious, serviced apartments. Each offer a fully equipped kitchen, comfortable lounge and dining area plus bathroom with underfloor heating and private and secure car garage, perfect for storing and drying ski equipment. Enjoy complimentary access to the hot spas, barbecue area, tennis court, petanque terrain, games room and gym. 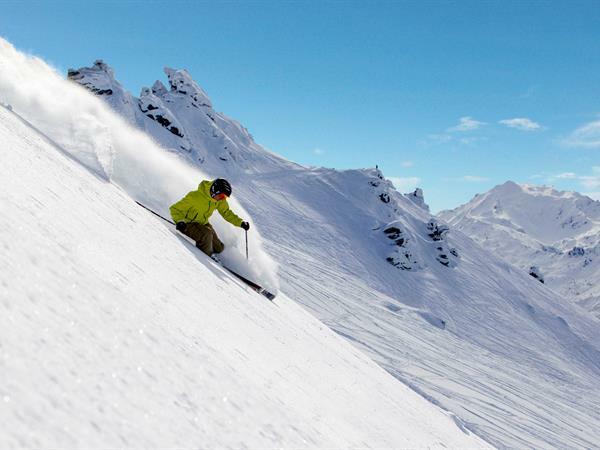 Distinction Wanaka Alpine Resort are pleased to partner with Snopro Ski Hire Delivery. Snopro will deliver and custom fit your ski rental gear in the comfort of your Wanaka accommodation, simply leave the gear behind when you are done and they will come and collect. Visit Snopro Wanaka to reserve your rental delivery.